SA104/A BJRO is an extremely lightweight and colorful miicro pump. 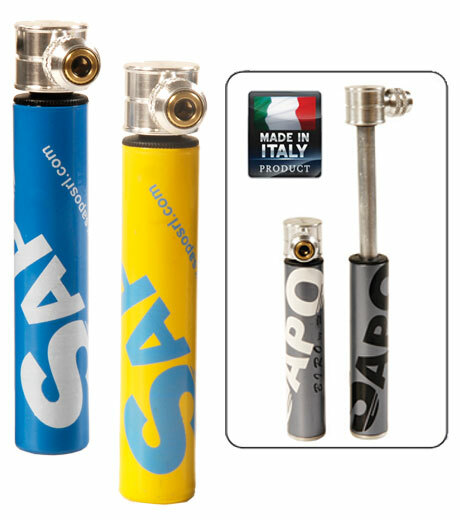 BJRO inflates up to 7 bar / 100 psi even though it’s small and compact. Thanks to a special screw-joint and a unidirectional valve (Schrader and Presta valves); BJRO can easily inflate most valves. 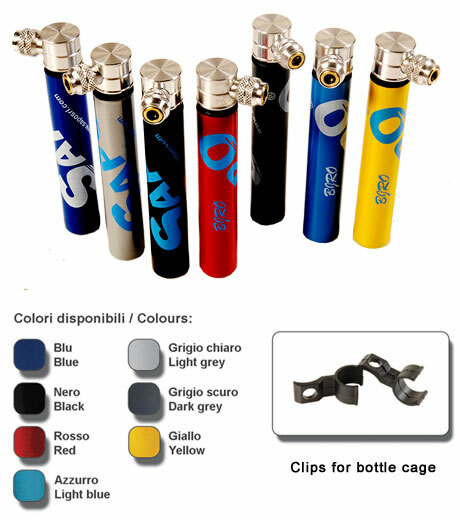 It is also available in several different colors and equipped with clips to attach the pump to the frame.